Did you get a glimpse of the party that Amy Atlas threw for her son? 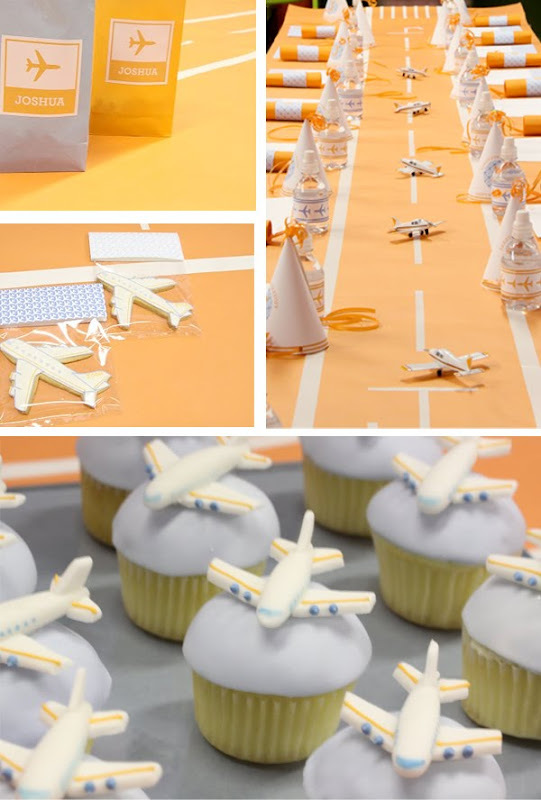 I love the airplane theme and it is very well done -- she even suspended a airplane cake! See more photos here. stunning and so fun! thanks for sharing. Aww, what a party it must have been! She never lets us down! Always colorful and creative! Lucky boy! So sweet! My friend just had a Fancy Nancy party for her daughter. I love themed parties! wow! those airplane cupcakes are so cute! I love Amy Atlas. This is so cool! Amy Atlas style is sophisticated yet playful. I always look to her site for inspiration.... although I will never quite capture what she does, it's always fun trying. FIRST of all I LOVE AMY ATLAS! I love this party! The gift bags! EVERYTHING!!! I can totally hear "I'm leaving, on a jet plane" playing in the background. This would make a great going away party. Oh WOW!! I wish I had seen this before I did my son's 6th birthday airplane party! This was so colorful and fun! I do like my suitcase goody bags better though.